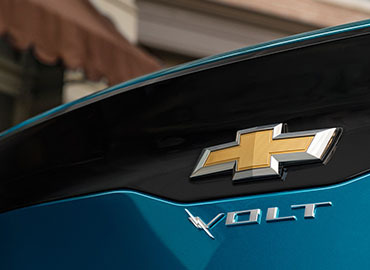 The average daily commute is only about 40 miles round trip, meaning Volt offers enough battery range to make it from home to work, with extra range for errands in between. With a simple pull of the Regen on Demand paddle on your steering wheel, you're able to slow down without using the actual brake pedal. This also converts kinetic energy into electricity and then transfers it back to the battery. Of course, you must use your brake pedal if you need to stop immediately. With a standard 8-inch diagonal touch-screen, available 4G LTE Wi-Fi® hotspot and standard Apple CarPlay™ and Android Auto™ capability, your music and apps are always within reach.